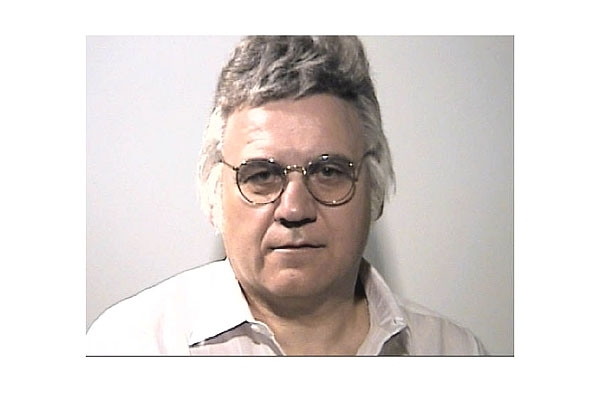 James Traficant, the hairhat-wearing former Ohio congressman, was photographed at the Summit County, Ohio jail in July 2002. The disgraced Democrat was awaiting transfer to a federal prison where he will serve eight years after being found guilty of racketeering, bribery, and fraud charges. Submitted by clairpie on Tue, 2011-03-15 15:19. All the politicians need to be paid 50,000.00 a year,pay for their own medical and when they are no longer in office everything gets cut off. Just like in the real world. Submitted by Meggy on Sat, 2011-01-22 11:29. Submitted by jdoakes on Fri, 2010-11-19 16:05. Nice hair hat. The boys in cell block D are going to love you.